We’d love your help. 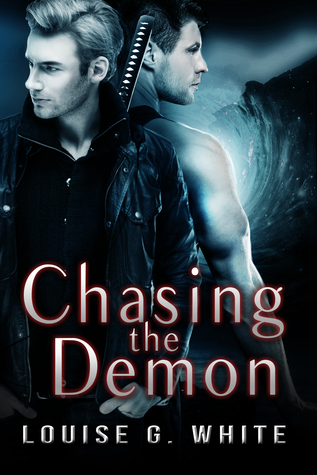 Let us know what’s wrong with this preview of Chasing The Demon by Louise G. White. To ask other readers questions about Chasing The Demon, please sign up. I liked this book but not as much as the first one. I really missed getting the book told from Carolyns point of view. While this book had some of her perspective I felt like too many other characters were talking and taking up time. I didn't like all of the extra characters. It was almost too much for me. At one point I just had to skip a few pages. I do understand though why there are added POVs, the author is trying to expand the story to tell both the good and bad guys sides. What I did like I liked this book but not as much as the first one. I really missed getting the book told from Carolyns point of view. While this book had some of her perspective I felt like too many other characters were talking and taking up time. I didn't like all of the extra characters. It was almost too much for me. At one point I just had to skip a few pages. I do understand though why there are added POVs, the author is trying to expand the story to tell both the good and bad guys sides. What I did like thought was getting Notes side of the story more and seeing his internal struggle. Does he really love Carolyn or should he just move on? Could he ever feel that bond with another woman or is Carolyn the only one for him. It was interesting to see the changes in him, he went from sideline watcher to guy willing to do whatever to save the women he loves. I also enjoyed seeing Carolyn overcome the huge obstacle that was blocking her way. She fights to keep her freedom and her mind. Instead of getting the violent irrational girl from before she's become more cunning an almost tactical in her decisions. Overall, I liked the story but I didn't love it like the first book. I just didn't feel that same need to know what was gonna happen as I did before. I am going to stick with this series though, I'm curious as to what will happen next. Give it up, give it up, standing ovation to the talented Louise G. White on an outstanding job! Her works is enthralling, leaving you captivated, craving for more. You want lies, deception, manipulation then you’ve come to the right place. She delivers..and then some! Need a break from your day to day life… then journey with Ethan, Carolyn to other worlds and the mysteries they hold. Follow Note as he emerges from the boy we fell in love with to the man he’s become. You ask if this is a five sta Give it up, give it up, standing ovation to the talented Louise G. White on an outstanding job! Her works is enthralling, leaving you captivated, craving for more. You want lies, deception, manipulation then you’ve come to the right place. She delivers..and then some! Need a break from your day to day life… then journey with Ethan, Carolyn to other worlds and the mysteries they hold. Follow Note as he emerges from the boy we fell in love with to the man he’s become. You ask if this is a five star read and my response is if you haven’t already read the sequel then you are missing out! Now onto the review! Spoiler alert...spoiler alert! With this knife I'll cut out the part of me. The part that cares for you. With this knife I'll cut out the heart of me. The heart that cares for you. (SMILE EMPTY SOUL "With This Knife"
When it comes to love, Note will search high and low for Carolyn. He would give all, be all to track her, right about now she needs a hero. So what if he has scales and a lizard skin, he will hunt the ends of the earth for her and only then will he be satisfied! He’s come along way from the helpless servant boy. In the year's time they’ve been apart he’s transformed into a warrior, he’ll stop at nothing to reclaim his mate! Ethan had to get the destroyer back! Morale was low within the league, their only mission was to seek, hunt the lost princess before it was to late. Before she found herself saddled as a broodmare within some off worlder's kings stable! If only he had been the one anchored to her, so much of this could have been avoided! Carolyn's powers were meant to be harnessed, not shackled to someone living in complete ignorance of her capabilities! Father and Peter are so confusing, I was destined to be more! Their lies and deceits are mounting and not measuring up to the memories I was programmed to have. Right or wrong my dreams are of a illusive snake demon with golden eyes. He comes to me and shows a life that could have been mine. Am I that empty shell of a girl..or am I that powerful being known as the destroyer of nations...God what is real and what is fake? Who would you trust? Another remarkable work of fantasy by Louise G. White! I can't give away too much of the plot withou Another remarkable work of fantasy by Louise G. White! I can't give away too much of the plot without revealing spoilers, but I can say that Ms. White masterfully continues her story of Carolyn, Note, and Ethan. You won't be able to put down this new and compelling edition to the fantasy genre. 'Chasing The Demon' is an amazing continuation in the Gateway Series. The adventures were even more thrilling than in 'The Calling' and Carolyn and the others does not disappoint (Sean and his Cumberbatch look always gets me;) ). Thanks to Louise G. White for sending me an ebook in exchange for an honest review. Chasing the Demon by Louise G White. WOW!!!!! What a fantastic book. I couldn't put it down, and was amazed and thrilled by the continued journey of Ethan and his group within the protectorate. The team continue saving people from Otherworlders trafficking through the Gateways. Their Destroyer, Carolyn is still missing and this is taking its toll on the team especially Note, as he struggles with Sadi and her condescending and demeaning ways, interrupting his consciousness and making life without Chasing the Demon by Louise G White. I finished this book about ten minutes from midnight and instead of writing a review in the morning I am going to write a quick one now. So first thing that pops into my head is there is going to be another book. So fortunately the series is not over and their is more to the story. Unfortunately authors can't just automatically come out with a book after you get done reading the previous one. And being that it usually takes me a day or two to read a book unless life gets in the way; this then leaves me with a long time to wait. Also I have a to-read list with about a thousand books on it already which doesn't give me a lot of time to reread books and still have a life and friends. Despite that, 'The Calling' along with 'Chasing the Demon' will make my very short reread list. The next book in the series will probably also make that list. I have the highest opinion of this series and I only hope that the author, Louise White, continues to write for the public. Oh why did it end, I just wanted to keep reading. Louise is an amazing writer, she depicts these other worlds so well that I feel as if I am there, it’s as if they are real. Her vivid descriptions really are a delight. The way it jumped between the characters really pushed the pace of the story along, I couldn’t put it down. All the things I loved about the first book were amplified and grown on. In this the second instalment of the Gateway series we get our old favourites from the first book with Oh why did it end, I just wanted to keep reading. In this the second instalment of the Gateway series we get our old favourites from the first book with the injection of a few new characters that really spice things up and add humour to it all. Louise offers us up; Romance, Friendship, Loyalty, Action, Adventure, Good versus Evil and Multiple Worlds to tickle our fancy. I loved the ending as it leads to so many possibilities, even Ethan’s in with a chance (I hope). White's writing is deliciously addicting. This continuation didn't disappoint. I don't read many demon books but White makes it all so much fun, and with her skilled writing, I'm always on the edge of my seat. I thoroughly loved Note's character development in this one, and getting the alternate perspective of the story. I don't think it should have been done differently, seeing as our favorite characters are now split between two worlds. Carolyn, a demon fighter with supernatural abilities is in White's writing is deliciously addicting. This continuation didn't disappoint. I don't read many demon books but White makes it all so much fun, and with her skilled writing, I'm always on the edge of my seat. I thoroughly loved Note's character development in this one, and getting the alternate perspective of the story. I don't think it should have been done differently, seeing as our favorite characters are now split between two worlds. Carolyn, a demon fighter with supernatural abilities is in danger. She's been captured and her memories have been replaced with false ones. Meanwhile, her team back on Earth is faced with a war of their own and her time away from Note definitely kept me wondering what would happen to the two of them. Recommends it for: Everyone who loves paranormal. I had to read this book IMMEDIATELY after completing the first of the series, The Calling. As with the first, Ms. White does such an exquisite job of describing vivid details throughout the entire story. You literally believe the places she creates are real. Never have I read an author who pulls the reader into her/his storyline the way Ms. White pulls in her readers. I will not divulge details, just trust me when I I received a copy of this book from the author in exchange for an honest review. I had to read this book IMMEDIATELY after completing the first of the series, The Calling. As with the first, Ms. White does such an exquisite job of describing vivid details throughout the entire story. You literally believe the places she creates are real. Never have I read an author who pulls the reader into her/his storyline the way Ms. White pulls in her readers. I will not divulge details, just trust me when I say you HAVE TO READ THIS SERIES!! And, keep an eye out for more books by Ms Louise G White. You will not want to miss her. Way to go, Ms. White. You have become one of my very favorite favorites. I am so thankful Choosy Bookworm has its Read and Review program to bring me to you. You are amazing. Ms. Louise White did it again! She continues to fascinate us with her second book, "Chasing the Demons”. You’ll be turning page after page, not able to put down this nail-biting suspense novel, as the plot will take you to amazing, memorable places and dimensions. Chasing the Demons may become one of your favorite reads this summer – it’s certainly on my favorite books list! Lets hope that there is more to come from this very talented writer. Again, congratulations, Ms Louise White! I got this book from the Author in exchange for a review. This is the second book in the series and boy did it deliver. I was at the edge of my seat the whole time and I stayed up way past my bedtime to read. I loved the characters and the plot line and I can't wait to find out what will happen next! I would however recommend that you read "The Calling" first in order to enjoy this book so much more. Another great installment by Louise G. White, don't miss it. Wow, what a continuation. I loved entering the world again with Carolyn, Note and their team. There is so much more action and twists. It will keep you guessing as to what will happen next. I hate giving away spoilers, so I am going to leave the review there. Well worth the read for any paranormal fan. I was given this book in exchange for an honest review for LoP. Outstanding book I love this book. Carolyn is missing and the team are looking for her. The team are saving people from Otherworlders trafficking through the gateway. I highly recommend this book. The exciting and intriguing second book in the Gateway series, "Chasing the Demon" begins in Empustat after Carolyn and Mario looking for an artifact to release him from his perpetual youth are captured. Set in a realm where her father Chief Arthur rules over the beautiful and powerful Lilium who exude no warmth or joy, Carolyn struggles to discover her true identity after her memories are replaced and while her friend, the exile Mario suffers sadistic brutality in his imprisonment. Barred from The exciting and intriguing second book in the Gateway series, "Chasing the Demon" begins in Empustat after Carolyn and Mario looking for an artifact to release him from his perpetual youth are captured. Set in a realm where her father Chief Arthur rules over the beautiful and powerful Lilium who exude no warmth or joy, Carolyn struggles to discover her true identity after her memories are replaced and while her friend, the exile Mario suffers sadistic brutality in his imprisonment. Barred from rescuing Carolyn the woman he's anchored and claimed, Notechis (Note) barely endures the pain of separation while searching for a way into the realm and thwarting his father, the high mage of Skean who's pressuring him to accept the power of his birthright. The action never stops as threads of the plot include not only Carolyn's fight to reclaim her past in the pleasurable surroundings of her father's fortress; Mario's hardship in captivity; the Agency's cruel practices in harnessing the power of Otherworlders, but also the Protectorate team's adventures as they plan a dangerous rescue mission. With a natural, fluid writing style Louise G. White gives life to this imaginative plot building a world filled with adventure and romance. Intensity and intrigue escalate with every twist that has Carolyn unravelling clues to her past and trying to outwit her father while Note and the team discover hope in a mysterious tear. Amid the conflict and violence there is comedic relief in Jonah's obsession for chocolate and his ardent feelings for Mel. The momentum never slows but moves quickly and smoothly to a climax that begs for a third book. Although romance infuses the story it comes from different sources as Note and Carolyn's bond is severely tested. Separated for a year and faced with Mel's flirtatious spirit and unrequited passion Note holds tight to his love for the fiery destroyer while the breakdown of their bond leaves Carolyn susceptible to Peter's amorous overtures and even to the attraction of an old friend. The author has developed a treasure trove of complex personalities old and new in this entertaining sequel who continue to fuel the passion, high-energy and drama. Irrepressible and feisty Carolyn appears spoiled and privileged, suffocating under Peter and her father's control only to challenge their power and regain her freedom and memory once she awakens from her foggy existence. 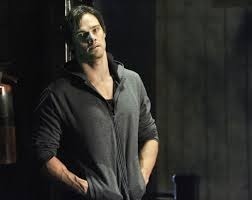 Frustrated by his inability to rescue Carolyn the demon Notechis (Note) proves to be tenacious and resolute, never giving up hope that he will be reunited with her. Fearing the darkness inherent in Hecaton's magical power he relinquished his inheritance in favor of being a Protectorate agent only to have his father continually trying coerce him into accepting it. I liked "Chasing the Demon" with its imaginative fantasy world and unforgettable unique characters; a series that continues to exceed my expectations. Whoa. I will be the first person to admit that my immediate response upon picking up a book to multiple perspectives after falling in love with one in the first book is “go away”. And I will also admit that this book completely changed my mind: I ended up loving seeing the events unfold through different eyes and how it affected them. Since the characters were spread out all over the place, it just made sense. The introduction of new characters was also a welcome surprise that kept it interesting. My heart however remains with Carolyn, Ethan and of course Note. They’re all so unique (as you can imagine with the very original circumstances which I won’t go into for fear of spoilers) and their character development was written beautifully. Carolyn had already gone through some major changes; after all the “destroyer” and “reconditioning” stuff we start to see her coming into herself – and she is an intelligent badass! Ethan has even grown on me, though in my eyes he still doesn’t stand a chance against Note. 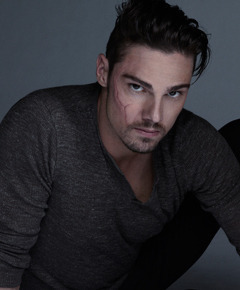 Ahh Note, my gorgeous-heartbroken-demon <3 he’s not had it easy losing Carolyn but the way it’s made him grow just reaffirms that he deserves so much more than living under other people’s unfair rule. The lines between good and evil have blurred in this instalment which couldn’t be more exciting to read about. Add in constant action and brilliant plot twists around every corner and you’ve got a series perfect for any paranormal/sci-fi reader. This book was an astounding read that I was not able to put down. From start to finish Ms. White captivated and enthralled my senses. Vivid descriptions and strong characters pave the road for an action packed tale that had me reading late into the night to find out what happened next. While I haven’t read The Calling, the first book in this series, there was enough backstory woven in to catch me up within the first few chapters. Note, Ethan and the rest of the protecto Heart Pounding Thrill Ride! Note, Ethan and the rest of the protectors on Earth are trying to find a way to bring Carolyn back to Earth, with The Agency still in pursuit. Living a lifestyle she is not accustomed to, Carolyn felt like something was missing. Note struggled to cope with her absence, with Ethan and Sean trying desperately to find her. Will these problems be resolved? I wasn’t a big fan of Ethan (but I suspect that I’m not supposed to like him), and Mow and Jonah were quite interesting. It will be interesting to see how their characters develop in the future. This book is full of surprises and kept me guessing at all times. I could not turn the pages fast enough to find out what was coming next. Ms. White’s ability to develop realistic, human(ish) characters The emotions in this book feel so real, that I couldn't help going through these emotions with the characters. I would recommend this book to anyone who loves a good old space opera a la Star Trek or Battlestar Galactica. Filled with wonderous magic, new races and enough action to keep the pages flying, Chasing The Demon is well worth a read. This is a great addition to a potentially tremendous franchise. Ms. White has nailed it! There’s a lot to like here. This is a richly thought out, multifaceted world. The various forms of magical abilities on display, the complex relationship dynamics between the characters, the in-depth world building, all point to a powerhouse imagination driving the writing. On a copy-editing level, a lot of the phrasing as well is quite beautiful. I enjoyed this one even more than the first book in the series owing to the fact that there’s that much more story to go around, and I enjoyed the lat There’s a lot to like here. This is a richly thought out, multifaceted world. The various forms of magical abilities on display, the complex relationship dynamics between the characters, the in-depth world building, all point to a powerhouse imagination driving the writing. On a copy-editing level, a lot of the phrasing as well is quite beautiful. I enjoyed this one even more than the first book in the series owing to the fact that there’s that much more story to go around, and I enjoyed the latest plot twists. Moreover, some of the plot points I found emotionally quite powerful, such as Carolyn having to deal with mental “reconditioning.” That’s the kind of horror that crawls under your skin and just stays there, long after you’ve put the book down. My biggest challenge with the story was that I felt I was at times being asked to absorb too much, especially at the beginning of the story when I was trying to get oriented. And I also often wondered if there was a less convoluted path that could be taken to sneaking in the backstory. But these are not uncommon criticisms for the fantasy genre, where there is just so much world building going on that there’s just a lot to take in. Reading fantasy might be right up there with doing New York Times crossword puzzles for expanding the mind in that regard. It's hard to provide plot details, without giving away the ending of the first book, which I still must say is a highly recommended read. But with no spoilers in sight I will say that the author builds on the already created relationships, and possesses the smooth, flawless, and entertaining character interaction which gripped my intention in the first book. The author's writing style is clear and enjoyable, her description and plot drive the plot forwards and keep the reader hooked from the first page. I love getting hooked on a good series and I am thoroughly hooked on this one! While I much enjoyed book #1, THE CALLING, overall, I think I like this book (#2) more. In book #1, I liked all the characters - but now White has got me caring about what happens to them, and some of their current situations are anxiety-inducing, indeed! Also, I'm gradually absorbing the complexities of this world, and I love the variation among the different types of demons and their native lands. White has a smooth, I love getting hooked on a good series and I am thoroughly hooked on this one! White has a smooth, witty, and unobtrusive writing style that lends itself particularly well to the the intricacies of the Gateway universe; and her plot twists are a joy, because they are truly surprising. I hope to enjoy many more Gateway books - but I would also like to see her tackle a book that was not YA. Louise G. White has really hit her stride in book two in terms of flow. There are so many little pieces to this book, but she keeps the different plot strains in a tight grip. Chasing the Demon is a professional read. The only thing I ever want to know after finishing a good book is WHEN IS THE NEXT ONE OUT! 5/5! And recommended for any spec/fic lover. Another enjoyable read, although I found myself being very frustrated in parts at how long certain events took to play out, I see it was all for a reason, and the personalities and interplay between the characters had time to mature and get interesting. We didn't see as much of Carolyn as I would have liked but I very much enjoyed seeing more of Sean, he is one interesting character. I look forward to seeing where this will all lead and will most certainly get the next book. I was given this book in exchange for an honest rating and review. I love this book. I won't lie at first I found it hard to get into because I have never read anything like this before. I must say though once I was in I was hook. I just can't for wait 4 the next book in series,this story it's amazing. This is one sequel that is as good as the first book. I really enjoyed the character development and am really looking forward to book 3. It is rare to keep my interest through 3 books. I've often wondered why so many new series start off with a stellar first book but then turn into a dismal read by the second book. I am slowly coming the conclusion that the authors want to expand the number of books being published in the series for the ultimate financial success. Often times the second book is laden with a lot of filler (non essential musings) that serve no real purpose other than prolong the read. However, what the authors fail to realize is the each book of a successful ser I've often wondered why so many new series start off with a stellar first book but then turn into a dismal read by the second book. I am slowly coming the conclusion that the authors want to expand the number of books being published in the series for the ultimate financial success. Often times the second book is laden with a lot of filler (non essential musings) that serve no real purpose other than prolong the read. However, what the authors fail to realize is the each book of a successful series should grab the readers attention from the start and fail to let go until the end. Unfortunately, "Chasing the Demon" was a lack luster addition to what started out as a wonderful series. The chapters were filled with page after page of uninspired, mundane musing devoid of any real action and definitely didn't progress the storyline very much. There were many times that I wondered whether or not I would be able to finish reading this book because it was just that boring. The second book in the Gateway series answered so many of the unanswered questions for the first book The Calling, while raising so many more. The author Louise G White keeps her readers on the edge of their seats form beginning to end. I couldn't put it down I started to read this one right after I finished the first book, which means I have some time to wait a while for the next one to come out :( This series is definitely on my Disclaimer: I received this book in exchange for an honest review. Message me and I'll send you the code for a free copy of my books from Smashwords. I've had a variety of jobs, including waitress, library assistant, nurse, and police officer. I hold a BSc in Health Studies, and a PG certificate in Primary Education. The scenic west coast of Scotland is where I live with my family. I didn’t set out to write Fantasy, but when I sat with my laptop to begin The Calling, It became apparent that I still believed in Bogey Men, the Monster in the cupboard and of course, the Faeries at the bottom of our garden. Suddenly I found that I was writing a story of heroes who could be found both on our doorsteps and in the realms that lie beyond.